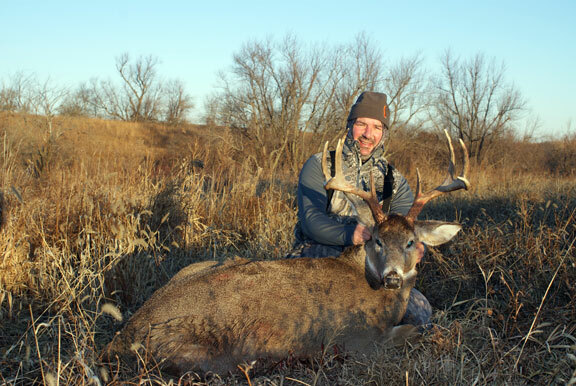 Iowa deer lease land through Mid-America Hunting Association offers deer hunting advantages separate from other deer lease options. This Iowa deer lease discussion has brought some criticism along with other discussions all which serve well for offering different viewpoints. While we are not a debate based organization or a trophy lease operation we left this article as is to generate discussions which do a good job of separating out those hunters we do not seek to work with. Hunters seeking an Iowa deer lease have created a lot of their own problems. Some hunters seemingly are less interested in hunting or a lease than expressing criticism of everything. Leasing Iowa hunting land has general issues as any where else. Iowa does have some specific to Iowa land or tag success rate. 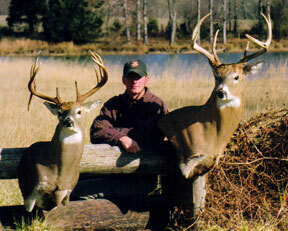 A common issue includes an all too familiar incompatible landowner to hunter goals. 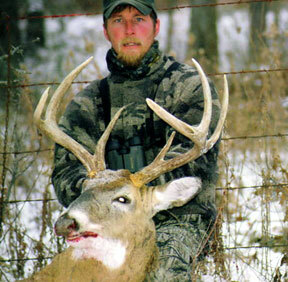 Do it yourself hunter’s goal in a lease is first good habitat within a state region with a trophy whitetail history. This is desired in combination with limited surrounding pressure. An ideal Iowa lease also has sufficient acreage allowing freedom to maneuver, loafing areas, stand sites, all away from property lines. A tall order to fill. Iowa agricultural land in row crop does not mean hunting on top of cut crop fields. This picture also shows scrub is more valued than woodlots to find trophies. It is about protective cover at deer eye level near a food source. Not a common deer hunter approach compared to more woods equals better. A food first cover second approach some deer hunters take a longer time to learn. Landowners want maximum income possible after having heard many Co-Op or coffee house rumors of high payments someone knows someone else is getting. These same landowner seeks to limit liability or contact time with hunters, unless of course contact time comes with more money by providing room or meals. Landowner and hunter goals further come into conflict with land use practices. Landowners seeking maximum farming income through minimizes waste ground (wildlife habitat). Hunters want food plots, year round non-farming/cattle use of wildlife areas, limited human presence. I would also like to thank you guys for much advice over these past two years. My first year I did hunt [location deleted]. I saw great deer but had no luck. My second year, I drew an [location deleted] tag. I spent seven days hunting some great land in [location deleted]. I finally met another member, Bernie (from Missouri). We spent one afternoon tracking a deer he had shot but were unable to recover it. He was a really nice guy. Anyway, during my week in [location deleted], I saw some great deer. I saw two really nice deer having one about 37 yards out from my stand. Unfortunately, I was never able to get a shot off on him. On my second to last day, after a few days of light snow, I had a nice buck respond to my grunt call. I took a shot at 15 yards. He was by far my biggest bodied deer I have ever seen. I am guessing around 230-250 lb range. He had only seven points because of some rack damage to his right side. 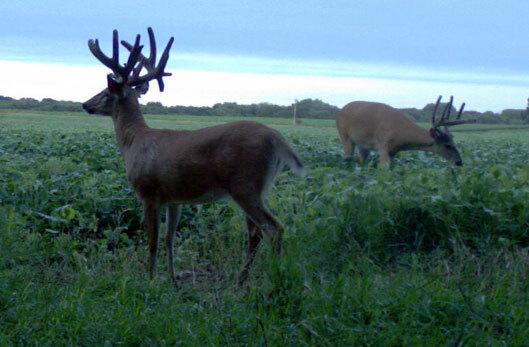 It looked like he may have injured his rack during its time in velvet, or sometime during early season. His left side was perfect, he had great mass. Regardless, I was happy with my trophy. I have enclosed three pictures of my Iowa buck. His “field” shot is not great, but you can see how cold it was. My other photos have two deer. Right side deer is my [location deleted] buck. Left side is one I harvested one week before coming to [location deleted]. It was a spectacular NC deer. It is still incredible how much bigger my [location deleted] buck is than my NC buck who weighed 190 lbs. Thanks for all your help over these past two years. You guys, as well as, our hunting club are exceptional. I hope it continues over many years to come. I truly love Midwest hunting. If overcoming these common lease and land use issues Iowa offers additional lease hurdles. Mostly in form of non-resident deer tags being a competitive draw. Meaning how to get tags in order to justify lease payments. Iowa non-resident deer hunter issue refers back to Co-Op/coffee house landowner discussions. This is about out-of-state hunters are willing to pay more to gain an Iowa deer lease than resident hunters. Once more issue returns to a basic of what landowners want. Or, maximum money. Compared to what Iowa hunters want. Maximum hunting from lease ground. This opposing dynamic continues. It is typically a cascade effect. land goes un-hunted as landowners want payment or nobody hunts. Maximum money to motivate a landowners to sell his hunting rights to their land typically means leasing to more than one hunter, Iowa resident or non-resident does not matter. This is frequently from year to year a different group subject to tag draw success. Or, to a changing core group that works out who hunts when along with where when one or more successfully draws an Iowa tag. It does not take much experience to now see how this Iowa lease issue begins to get complicated fast when dealing with more personalities. How many golden nugget spots will there be on any one Iowa lease? How much hunting pressure can any one spot receive before its shine wears off? Each Association hunter may hunt to his own level of trophy deer. No where ion this web site do we promote only top 10% trophy deer hunting. 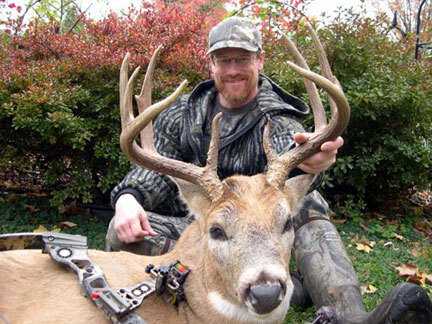 We all should recognize trophy whitetail’s are challenging to a point most will have tags in pocket after most hunts. 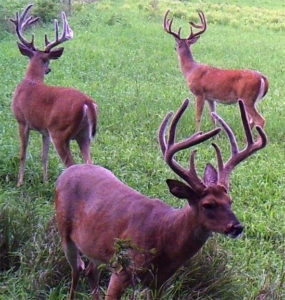 Bow season isn’t over yet, but its best of this year is more than likely behind us. Any time I spent in [deleted] this season was outstanding. To watch bucks I normally only see in magazines or on television doing their thing near my stands was a surreal experience. I’m very pleased to have harvested the animal pictured. But, as it always seems to go when bow hunting, I saw a couple which were bigger. If only they had come a little closer. Anyhow, I just wanted to take time to say thanks at providing much opportunity to a bow hunting addict to get his fix. Any success we have is partly due to Mid America’s efforts to provide quality habitat to hunt or fish. Time off from work is a precious thing, I’d much rather spend it in stand as opposed to knocking on doors just trying to find an opportunity to get there. It’s a neat thing our buying power as a group allows us access to big leases none of us could achieve alone. Thanks for making such good use of our resources. It is much appreciated. Another option some hunters have executed is to continue to pay for their Iowa deer lease to include years when no tag is drawn. This land is then offer up as a sublease. This option may initially seem like a good idea until examined from a liability standpoint. In this case liability more than doubles simply due to product liability on top of safety issues involved when pay to hunt replaces free access. Once payment or compensation of any type is exchanged be it cash, whisky or labor to get hunting rights these hunters turn from guest to an “invitee” (a legal term defined as provider’s being responsible or liable on all invitee’s performance not just to himself but extends from invitees to others he brings as well). As an invitee, landowner’s even if unknowingly has a sub-deer lease holder on his land is liable for performance of those an original lease purchaser brings onto any landowner’s property. True by any means of a sublease or as simply as a friend who comes to have a look. Inclusive of those not even hunting. Is this likely to result in losing their farm in a lawsuit? Probably not, however who wants these kinds of headaches. After all, there are probably thousands of deer leases offered, sold/purchased by a multitude of different personalities in a lot of states without courts being filled with deer hunters and landowners over lease liability issues. Deer lease issues continue and are especially difficult as those written with a number of provisions causing landowners to rethink their offer. Deer hunters accepting a lease agreement without provisions rarely gets what he truly has in mind. No Iowa lease is universal. They all have limits imposed by sellers or quality control issues. How to get these two sides, of lease provider and consumer together, is a work requirement. Hunters always desire a full lease. He wants to develop deer attaching habitat, stands, blinds, shooting lanes, mineral spots, year round access limited to him alone, freedom of access at all times on/off season. Busy with life landowners want a hunter on their place as often as a suburbanite homeowner wants an religious evangelist knocking on his door. Landowners want only a single person highest bid covering a short time period. 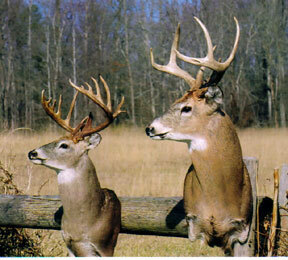 Hunters know full well it will take three years to develop a whitetail lease to fruition or prove it worthless. At this point is when hunters as a stereotype begins to show hypocrisy. This hypocrisy is between pay to hunt hunters compared to “average” hunter who believes deer hunting is becoming a rich mans only sport. First hypocrisy involves hunters who blames hunters causing increases in hunting (lease) costs. This argument avoids landowner’s right to earn a living from any resource he may have. Be it a personal talent, specialized trained skill or hunting lease. Remembering our society is one of capitalism, it should be of no one’s consternation someone with a resource should seek anything less than what our free market will carry. To expect anything less would be to expect any landowner to be foolish. I would be willing to bet these same hunters who make this argument would never consider voluntarily working their job at another company at a lower wage! Second hypocrisy is hunters who expects something in exchange of nothing. Often citing public hunting land. If there was more of it then more hunters could enjoy more hunting. Hummm, just who pays to gain public hunting land? Typically one of two sources pays to acquire public land. First is a generalized tax which secures private funds via the government taking them indiscriminate of any class of citizen. Another source are specialized taxes such as those from legislation, Pittman-Roberts act. However, regardless of any tax source it is citizens who pays. These same citizens are who want something for nothing would be first to complain about a 10 cents per citizen yearly tax to purchase public use land. Third hypocrisy occurs when discussing hunting, hunters and leases, is land being sought had to be purchased by a landowner at cost to his personal fortune. Yearly taxes were/are paid by its landowner at his cost. Land maintenance costs (a landowner replaced a pipe on a farm lane allowing tractor access to a field at $320 for one pipe at 3/4 day’s time). In short land is not free so why should “average” hunters expect free hunting access? That same “average” hunter furthers his hypocrisy by having a $49/month cell phone in addition to his land line at home, consumes a case of beer a week, purchased a new bow with accouterments at $1,200 and paid $4,500 to elk hunt (but different says this average hunter as it was a guided hunt). Point is we (hunters) will pay for what is important to us while complaining when what we want is more cost than we are willing to pay. Hunters are far more willing to pay when it is something tangible they can hold in their hands (bow) than a service or usage fee such as an Iowa lease. One final test any hunter seeking to lease hunting land should take to give himself a reminder of just how good we have it here in our USA. A contrast would be to talk to any military service member hunter who has been in Europe or Great Briton. Ask them their first hand hunting accounts of how easy or difficult it was for them as an “average” hunter to hunt anything anywhere. A lease is unknown in that part of the world. An ending for this Iowa lease article. We will not continue more discussions. Such as who addresses trespassers, lease holder or landowner? Or, pitfalls of group leasing. For what MAHA costs it would be prudent for anyone to hunt with us just one year. Then compare experiences to running their own lease in Iowa or elsewhere.